When Notorious B.I.G. fans think of the rapper's son, CJ Wallace, many envision the baby who was just five-months-old when the music icon was shot and killed in Los Angeles. The 22-year-old is a young businessman making a name for himself outside of being the celebrity seed of Biggie Smalls and Faith Evans, and he has his eyes on the cannabis industry. Along with his co-founders Willie Mack and Todd Russaw (Evans' ex-husband who helped raise Wallace), Wallace has launched Think Big, a company that is encouraging a social movement to spread awareness and use of cannabis as a tool for "creativity, contemplation, and healing." Wallace told Esquire, "I got to talk to my uncle...I think he was actually the first person my dad smoked weed with, and I found out that we actually smoked weed around the same age. I was 16. His first experience was way cooler than mine, in Jamaica. You know, in his homeland. I can only imagine the experience that he had. And he was with family, so he was probably very comfortable." Speaking about his introduction to weed with Forbes, Wallace said he remembered smelling it as a child. "My mom and both of my fathers used it. There was a place where my parents would smoke and I could smell it coming up from the studio when they were working." However, as he grew up, he also saw the health benefits of cannabis, as well. "My little brother, Ryder, has non-verbal autism and through research, my family heard about Jayden’s Juice and other CBD products for kids with epilepsy and autism. Watching him calm down and be less frustrated when trying to express himself was the big sign of cannabis being used for medicine, and that solidified my belief in the powers of the cannabis and hemp plants." Think Big collaborated with Lowell Herb Co. to release their first cannabis product called The Frank White Creative Blend. It's named after Biggie's alter ego "Frank White," a persona based on Christopher Walken's character in King of New York. It's described as a "signature sun-grown California cannabis, custom blended with Orange Sherbet, Banjo, and Rattlesnake Sour Diesel." "Some of the strains made us more talkative or too sleepy, and with The Frank White Creative Blend, we wanted something that made you feel both relaxed and energized—something that helps you be your most creative," Wallace said. He also wants to get some hip hop moguls in on the mix, too. "[I've got] so many different people in my head that I really want to work with," he said. 'Just figuring out what's the right way. Puff is on the list, of course Jay is on the list. But you know, we want to make sure it's done right. So, you know, we've got some great ideas coming." The state the game is such that big name sponsorship is a greater selling point than actual sound quality. Many these products are targeted at young consumers and niche markets, so it's no wonder rappers are benefiting from the recent uptick. According to TMZ, Tekashi 6ix9ine has netted an exclusive contract with TUNES Headphones, a product line for TUNES Audio that retails at the modest sum $249.99. Apparently, Tekashi is in line for his very own model with an exclusive color sequence. A portion the proceeds the sale this special Tekashi model will go towards the Kids in Need Foundation, a charity that functions to ensure early childhood development in underprivileged communities across the United States. 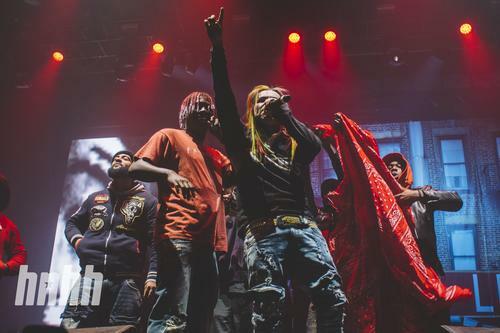 TUNES Audio reps reportedly chose 6ix9ine because they were impressed with his brand potential, seeing as he's become the "self-proclaimed King New York." TUNES Audio is ambitiously looking to weed out the competition by going after the biggest name available. They are also affiliated with Blac Chyna in some capacity. It has been long reported that Blac Chyna is making a strong push to recording labels to jump start her career as a rapper. Tekashi's sponsorship deal is worth in the region $4.9 Million. Despite his (somewhat unfairly appointed) reputation as a curmudgeon, Joe Budden seems to feel a reluctant appreciation for the notorious 6ix9ine. "I kind like the kid, man!" laughs Budden, before issuing a clarification. "I don't like him...but I do. I think he's misguided...This is his version integrity." 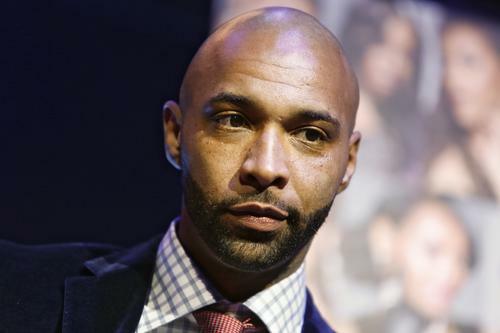 In a moment trademark Budden honesty, he proceeds to acknowledge his own reckless past, citing the time he got punched in the face by a Wu-Tang affiliate. "I was Tekashi back then," he admits. "Last decade, I was the person who fully understood the internet, and the changings it had on the business, and the older people did not. Tekashi today is trolling...People are understanding that." Citing Tekashi's recent Breakfast Club takeover, Budden reflects on an unsettling truth. "This kid is not as stupid as I maybe thought that he was at some point. And that reminded me someone else who we all thought was really really stupid when they first came out. And I said damn, why is Tekashi reminding me 50 Cent? We damn sure thought 50 was kind stupid when he first came out. Damn were we wrong." Perhaps Joe's comparison holds weight. After The Joe Budden Podcast episode aired, Tekashi actually shared footage himself and 50 Cent connecting over their own no-fucks-given demeanor. In fact, 50 actually went so far as to co-sign 6ix9ine's status as a fully fledged New York monarch. Perhaps the young rainbow haired rapper is truly destined for bigger and better things. Check out the Joe Budden Podcast below for Joey's thoughts. 6ix9ine talk kicks f around the twenty-four minute mark. With all this talk "King Of New York" going on it's only natural that one the front-runners had to flex on em. While contemporaries Jay-Z, Diddy, & 50 Cent have largely been recognized for their entrepreneurial endeavors, the legendary Nas prefers to move in silence. Yet the Queens rapper has made no shortage lucrative moves. 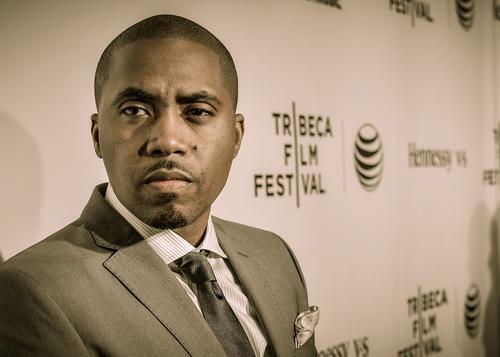 As one the founding members Queensbridge Venture Partners, Nas has already made investments in several thriving companies like Lyft, Dropbox, Genius, and SeatGeek. Now, reports claim that Nas has secured yet another bag, and this one sounds absolutely massive. In February, Amazon acquired a company called Ring, who make and sell video doorbells. According to Forbes, Ring was bought by Amazon for a reported $1.1 billion. As it happens, Nas was one the first people to invest in Ring; as a result, the deal netted him over $40 Million, as reported by WeBuyBlack. Nas is apparently in good company, as none other than Shaquille O'Neal also happened to be an investor in the company, agreeing to appear in Ring advertisements in exchange for an equity stake. Suffice it to say, Nas can add this one to his ever-growing list accomplishments. Congratulations to the one and only Escobar. Hopefully that Nas album will soon be upon us. The royal court is in session. Discourse "King Of New York" has been buzzing since Tekashi 6ix9ine seized the title for himself. Yet Tywin Lannister from Game Of Thrones wisely proclaimed "any man who must say 'I am the king' is no true king." At this point, Tekashi's claims can't help but feel like another ploy to keep his name on people's minds, but the notion does raise an interesting question. Is there any merit to Tekashi's self-appointed status? After all, it's hard to deny that he's currently the most buzzing artist (with the expection perhaps Cardi B). Yet compared to the kings old, his artistic accomplishments simply pale in comparison. Still, his raw, aggressive raps have resonated with a mass audience, and many are quick to deem Tekashi as a rainbow-headed voice the youth. 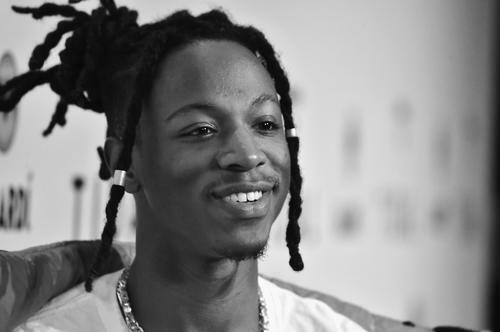 Naturally, his constant claims hip-hop royalty were bound to stir up competition in his fellow New Yorkers, and the talented Joey Bada$$ recently weighed in on the discourse. Without naming Tekashi directly, he took to his Instagram story to quietly boast his own accomplishments. "All that king talk is cool and all but I just made 100+ racks yesterday f features," writes Joey. "Another quarter mil f ghostwriting. Another 120k f an endorsement (front end). Not to mention the half a mil I brought in from touring about a month ago, plus I'm going on tour AGAIN in April. Plus another 300k in royalties coming in this month...Sheesh and that's just the first quarter." Throw in the fact that he's already got a deep catalog at the young age 23, perhaps we're looking at a low key contender. After all, out all the young New York emcees, Joey's discography is already trending upward. From the look it, the man is putting numbers on the board. What do you think?